So the filthy Tesco burgers were found to contain horse meat. Big deal. OK, of course I realise that ingredients/packaging should be accurate, people should know what they're eating. But I have absolutely no problem with eating horse meat - in fact, if horse meat is more economical then beef, then maybe we SHOULD be eating it. So I wanted to find out how the taste compared. 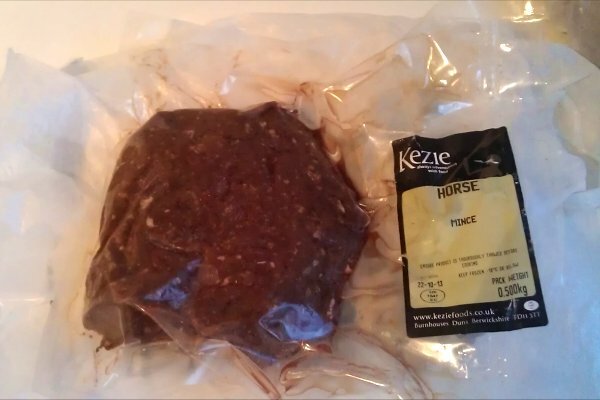 Horse meat is not illegal in the UK - in fact, I found a source quite easily on the internet. They also had all kinds of other interesting stuff, from zebra to camel, but I stuck with the horse mince for the purposes of this exercise. It was delivered, frozen and packed in dry ice, the very next day. First impressions were that the meat was dark in colour, and very very lean. 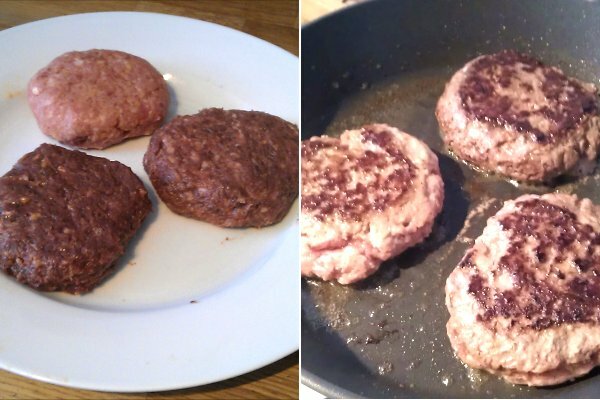 I decided to make three types of burger - horse, beef & horse, and plain beef - and judge which tasted best. Some people will tell you that a burger should contain only meat and seasoning, but horse is a lean meat, and it needs a little something to bind it together. So I added a little beaten egg and olive oil to the mixture, a few breadcrumbs, and a generous sprinkling of salt and pepper. 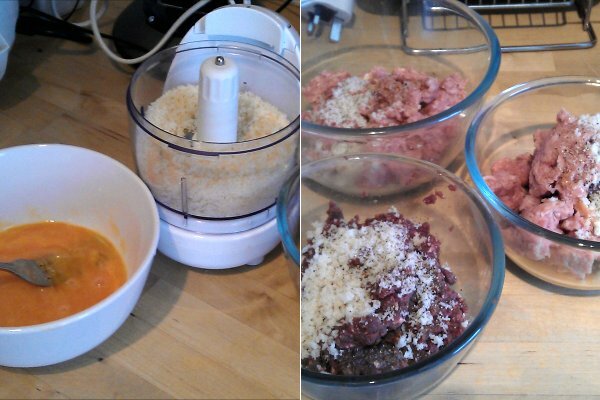 I then squeezed, scrunched, and kneaded each batch of mixture, to break the meat down and make it all stick together. After resting in the fridge for an hour, it was time to cook them! The horse burger had a very good flavour - rich, and slightly gamey with a strong iron flavour - but was a little tough and dry. 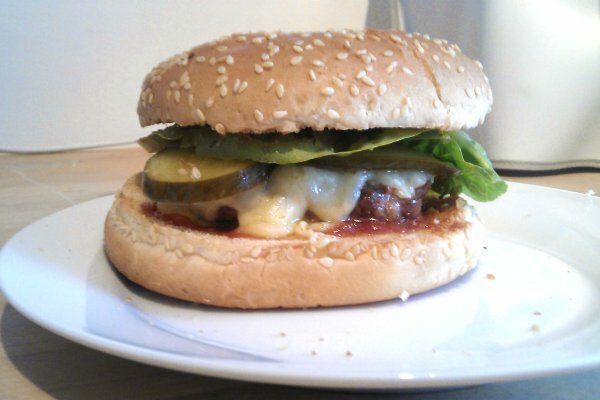 The beef burger was nice and juicy and fatty, but the flavour wasn't as strong as the horse. The best burger, without doubt, was the combined horse and beef! So this begs the question - were Tesco simply ahead of their time? Personally I'd love to see horse meat in the shops - hopefully starting with the (correctly labelled) beef and horse quarter pounder! Did you seriously eat that horse burger… oh the thought! Maybe tesco is ahead of its time. Damn right I did! Still got a couple of them in the freezer as a matter of fact.